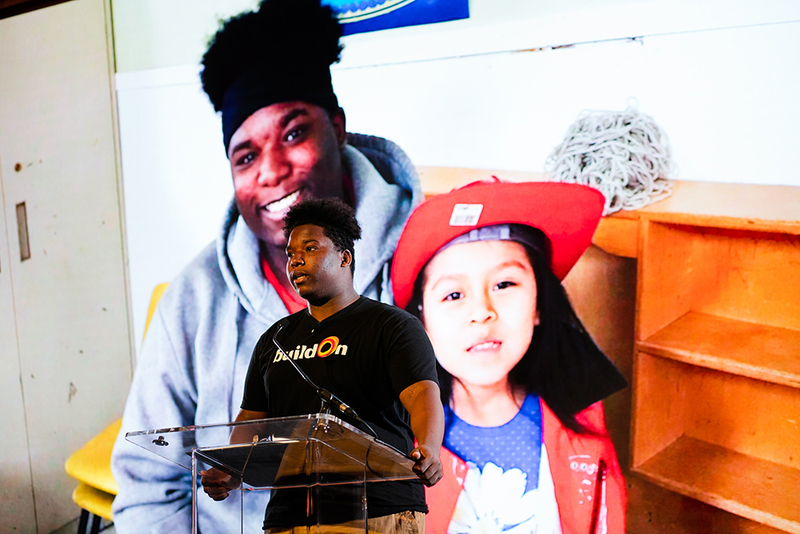 Members of the buildOn movement came together in Chicago at the Ritz-Carlton on the morning of Wednesday, May 30th, to celebrate the impact buildOn students and supporters are having on the city of Chicago. 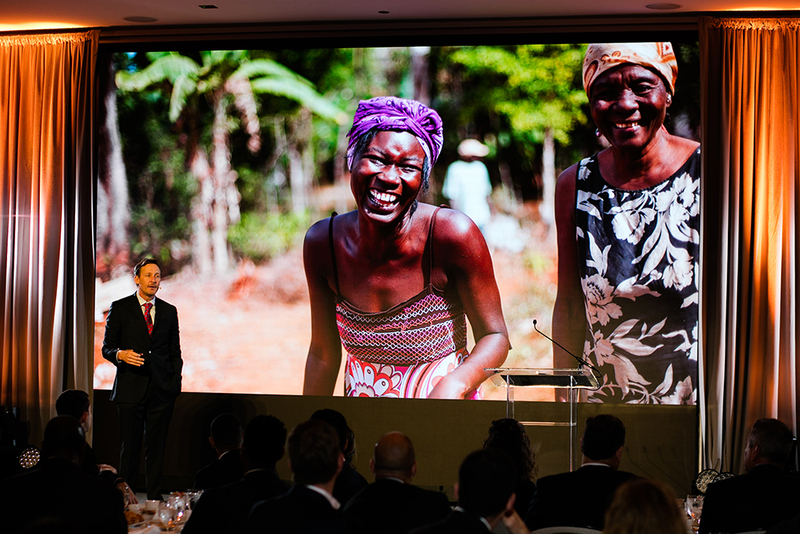 The celebration raised $450,000 in support of buildOn’s work in the Windy City. 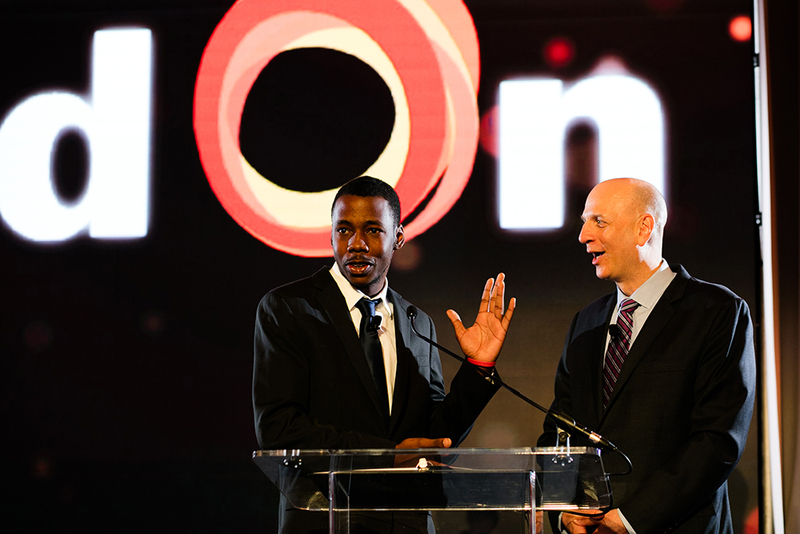 Above: Veshawn Young (left) and Marc Friedman (right) welcome the crowd to the 2018 buildOn Chicago Breakfast. Above: Jaques Brown, a junior at Gage Park High School, stands in front a photo from his very first service project. Jaques has become a mentor for young students in his community through buildOn. After his speech, Jaques brought buildOn’s Founder, President, & CEO Jim Ziolkowski to the stage. Jim shared how buildOn students like Jaques are changing their own neighborhoods in Chicago and building schools in some of the economically poorest countries in the world on Trek. Above: buildOn’s Founder Jim Ziolkowski talks about the impact buildOn students are having on Chicago, as well as developing countries such as Haiti. Following breakfast and a generous appeal, buildOn’s Partnership Director Anthony Curtis led a panel discussion about buildOn’s Immersion Programs. 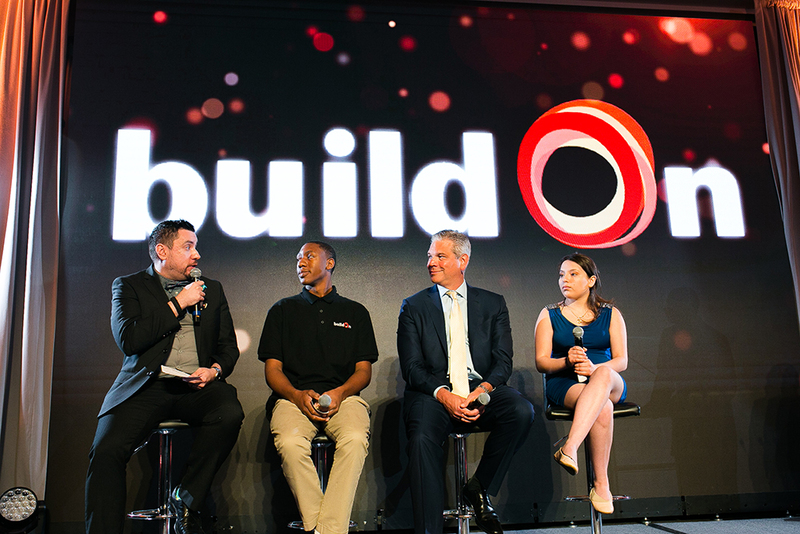 buildOn students Yoalix Melendez and Jonell Hightower were joined on stage by Trevor Schauenberg, the President & Chief Executive Officer of GE Capital, and Collin Brown, an HR Analyst at Jenner + Block. Both Collin and Trevor discussed how buildOn’s Immersion Programs gave them the opportunity to do more than just write a check to support buildOn. Instead, they were able to become involved directly with buildOn’s Service Learning Programs in Chicago and serve in solidarity with the students who are transforming their own communities. Above: Collin Brown (far left), an HR Analyst, shares how coaching Jonell Hightower (left center) in buildOn’s Partnership Program made him feel more connected to students in Chicago and his coworkers at Jenner + Block. 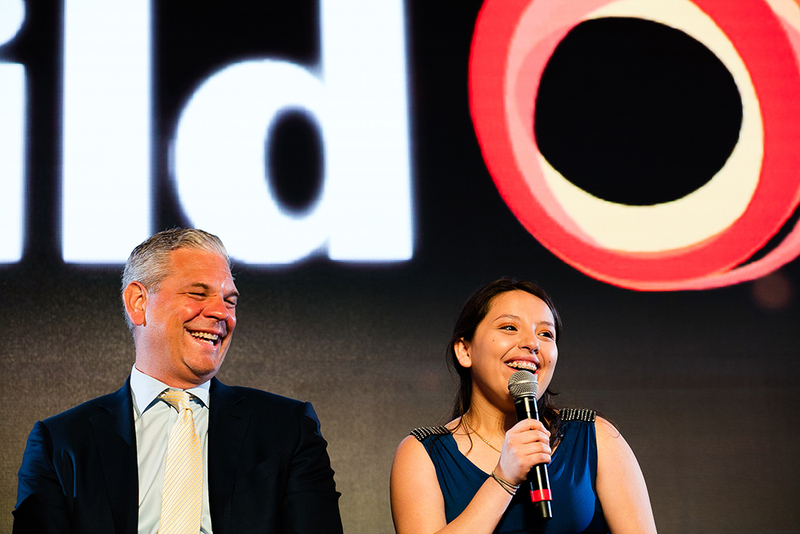 Above: Trevor Schauenberg, the President & Chief Executive Officer of GE Capital, and Yoalix Melendez, a buildOn student at Benito Juarez Community Academy, share a laugh as they reminisce about serving together as part of buildOn’s 36 Hours immersion. After the panel discussion, all of the buildOn students in attendance joined buildOn’s Founder Jim Ziolkowski on the stage to end the celebration with a hearty “WE ARE BUILDON” cheer. Thank you to all of our students, staff, and supporters in Chicago who made the 2018 buildOn Breakfast such a success. Special thanks to the Chicago Board and the following corporate sponsors: GE Capital, Grosvenor, Loop Capital, MB Real Estate, Mesirow Financial, and Synchrony Financial. Below: buidOn’s Founder Jim Ziolkowski and the buildOn students brought the 2018 Chicago Breakfast to an end with a cheer.